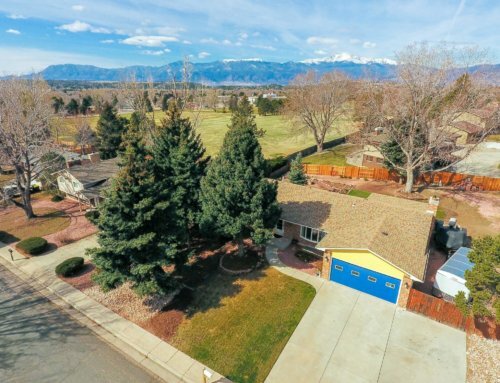 MUST SEE HD VIDEO AT VIRTUAL TOUR LINK!!! This olde world LUXURIOUS GRANDE MOUNTAIN CHALET embodies the timeless elegance reminiscent of yesteryear. RARE FIND NEW CONSTRUCTION IS MOVE-IN READY APRIL 2016! Located in highly desirable Cathedral Pines this open floor plan delivers the FINEST materials and finishes by master craftsman, woodworkers, and iron workers. MAIN LEVEL MASTER RETREAT, MAIN LEVEL JR. MASTER, MAIN LEVEL STUDY/OPT. DINING. Sprawling 2.5 acre corner treed lot. 6 bed/7 bath/4 Car/Study/Theatre/Billiards/Safe Room Vault/English Pub – 3 Patio/Decks. The gorgeous covered front porch leads into the grand foyer and great room both boasting 21′ vaulted ceilings and MASSIVE timber trusses. 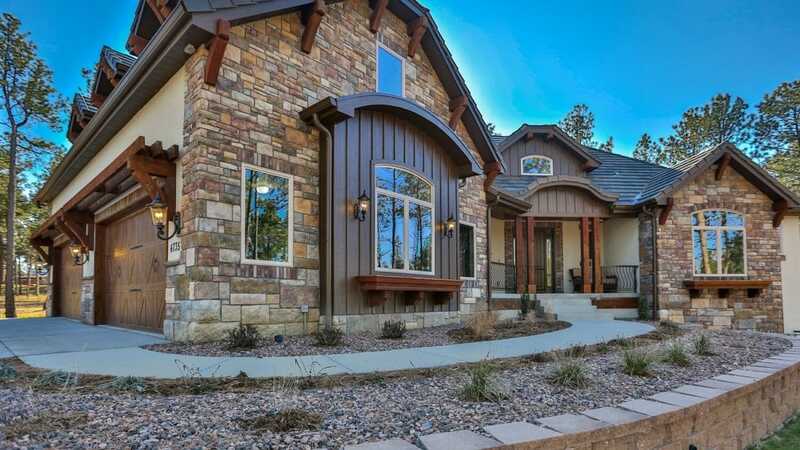 Master craftsman deliver exquisite detailing – imported slab granite, solid knotty alder trim – 96″ doors – crown, hand-troweled walls, European brick and stone features, custom iron work, timber ledges w/ wood corbels, and covered deck w/ wood stained ceiling. Entertaining abounds w/ custom knotty alder chefs kitchen w/ 52″ uppers, designer Kitchen-Aid appliances w/ 6 burner gas rangetop, massive island, oversized kitchen dining w/ wood stained ceiling. The stunning master sanctuary has deck access and boasts a spa 5-piece bath with European tub, double-entry travertine walk-in shower w/ dual head and rain shower, massive walk-in closet, and butler bar. 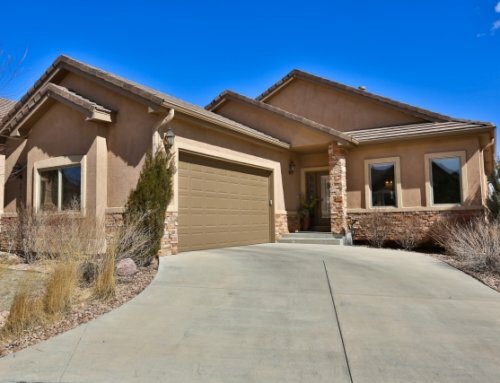 The massive lower level walk-out has 10′ ceilings, walk-in English Pub, 2 Jr. Master Bedrooms w/ baths (optional work-out/craft room), powder room, billiards/game room, theatre/family room, and 175sf walk-in safe room vault. The upper level loft has 2 additional bedrooms with built-ins, bathroom, and observatory overlooking the breathtaking great room. Finished 4 Car Garage is gas heater-ready. Security/whole-house audio/video systems. Instant Hot Water and Central AC.